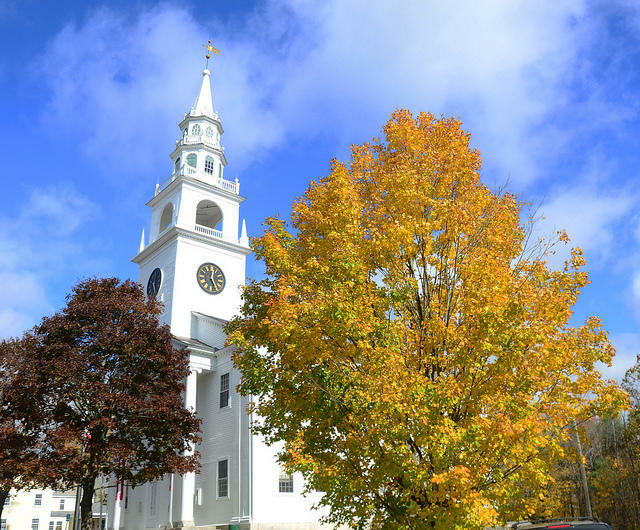 The town meeting has often been called “the purest form of democracy,” and for more than three centuries, it was how New Hampshire local government was conducted. Residents would gather on the second Tuesday in March – a convenient “down time” for farmers and loggers. They’d deliberate for hours on budgets, and do a fair bit of socializing as well. 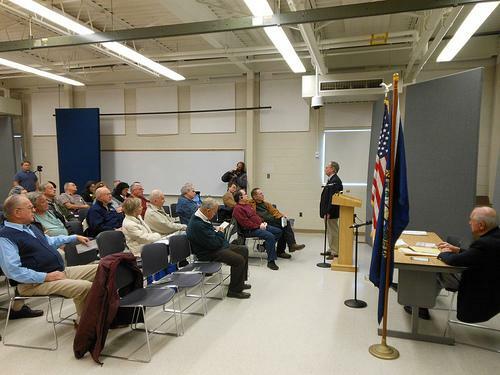 But more recently, attendance at town meetings steadily waned. And so, about 20 years ago, the legislature gave towns a new option called Senate bill two. This approach split the traditional process into two parts: first, a “deliberative session” to debate the issues and draft warrant articles on those matters, and then a day-long ballot. SB2 passed in 1995, and several dozen towns rushed to adopt it, mostly larger southern tier communities. Since then, every meeting season, there’s a discussion in towns across the state about whether to go this route, and even, among those that made the switch – about whether to switch back to traditional meeting. It’s town meeting time! A storied tradition in northern New England, and in New Hampshire especially. This week I found an old interview with Dartmouth College professor of history, Jere Daniell. He spoke with an unidentified NHPR reporter in July, 1994. Daniell has made close study of our town meeting and the history of the institution. The roots of town meeting go back three centuries and have evolved over time. Once viewed as an extension of the old boys network which governed many towns, it enjoyed a bit of a renaissance in the early 20th century. Town Meeting season is upon us, which means voters across New Hampshire will head to the polls today to weigh in on budgets, contracts, town elections and major spending proposals. NHPR’s Michael Brindley spoke with Christine Fillmore, staff attorney with the New Hampshire Municipal Association, who has been fielding questions and giving guidance to towns as they’ve been preparing for the big day. And she brought up a number of takeaways as far as any trends go. 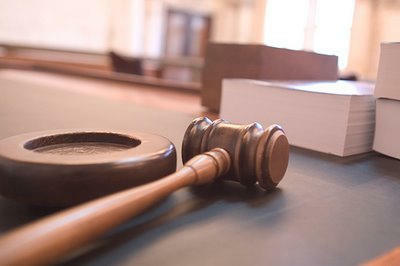 Voters in Bedford will decide next week whether to pass a $30 million bond to pay for a backlog of road improvements. Maureen O'Reilly beams with pride as she shows a visitor around Grafton, N.H., a town so small it doesn't even have a traffic light. "Have a look at this," O'Reilly says, pointing to a postcard view of hilly rural New England. "How beautiful is this? It's really pretty in the fall, really, really pretty." But behind the beautiful view, locals are dividing into opposing camps. 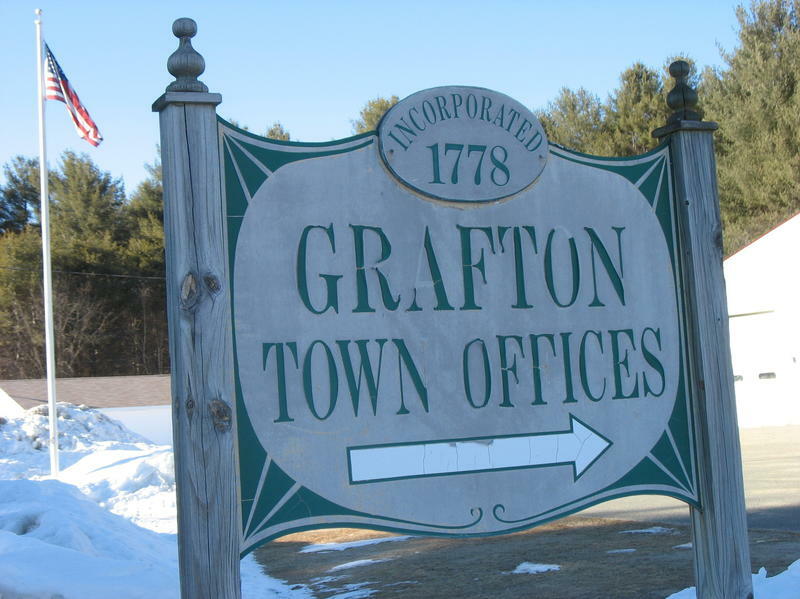 About 50 Libertarians have moved into Grafton from around the country, splitting the town over their push to shrink its government.